by Hilton Hater at February 1, 2017 3:27 pm . Updated at June 21, 2017 10:00 am . Beyonce and Jay Z are here to save America, people. BEYONCE HAS GIVEN BIRTH TO TWINS! See? Because Blue is a color and Ivy is a plant? Don't worry. We have plenty more along these lines from which the couple can choose. Pink and Blue?!? Come on. It's too perfect. Actually, we take it back. We may want to use this one for our own children. Hmm... you're right. This one has probably been ruined by Iggy and Banks. Come on. That one is just beautiful. 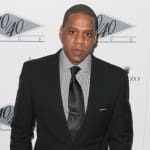 Eric Benet to Jay Z: Shut Up About My Wife! Beyonce Hosts Festive Push Party: See the Photos! Beyonce and Jay Z Anniversary Celebration: 9 Years & Counting! Beyonce Pregnancy Announcement: Most. Liked. Pic. EVER! 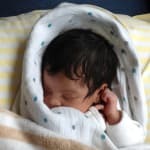 Beyonce Baby Names: What Will They Be?